Ottoman rule, were seeking their identity in an exaggerated identification with the nation, and the full breadth of the Christian message was not instilled in their clergy. “It is time,” says Fr. Tetsetis, a theologian for the ecumenical patriarchate, “that our Church finally realize that it is doing poorly as a whole. The Church needs an open and sincere dialogue. Because it is only then, with its rich tradition as a compass, that it will be able to emerge from its blind alley and together face its existential problems, which are becoming increasingly severe and complicated. 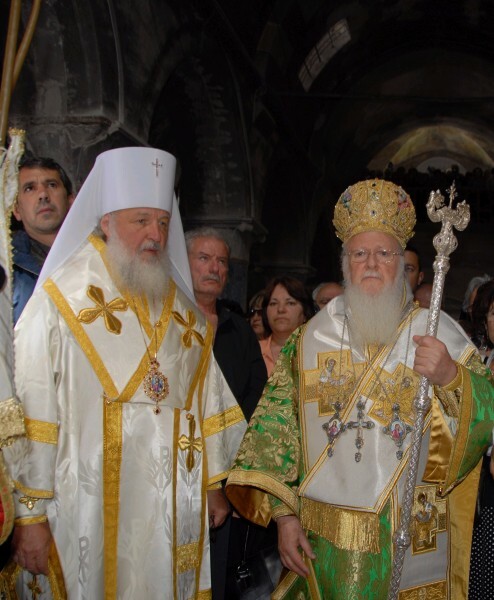 It is only then that the importance of the Ecumenical Patriarch’s initiative can be understood.” According to the journalist Aris Viketos, the letter from Bartholomew is being well received in the Orthodox world. It’s been one of those proverbial long weeks. Rehearsals for a choral concert (my first extra ecclesiam gig in a couple of years), a vocabulary quiz in Syriac (which was, shall we say, humbling), plus all of my normal stuff. We’re reading the Gospel of St. Mark in my Syriac class; a moment of unintentional humor may be found in 15:34 — “Jesus cried out in a high voice: ‘My God, my God, why have you left me?’ which is, ‘My God, my God, why have you left me? '” I guess it tells you that the Syriac scribes were following as closely as they could. I’m still waiting, by the way. In 1971, Raphael House of San Francisco became the first shelter in the city to focus on the needs of the family as a holistic entity… [Its] approach to poverty goes well beyond the provision of shelter, however. While there are numerous family shelters in San Francisco, an Orthodox presence at Raphael House creates a very different atmosphere and purpose from those of its secular counterparts… [I]t is the sacramental focus of the Church that makes Raphael House a working whom in which the Liturgy is the focus and renewal of those who both live and serve here. The shared experience of the Kingdom and partaking of the Eucharist make it possible for this community to serve the residential families in a way that goes deeper than provision. […] The Church as the koinonia is charged with the responsibility to love its neighbor as Christ has loved His people. It is union with Christ through the cup that strengthens the people to return to the world as one body, just as they entered into it, and to perform the Liturgy after the Liturgy. Having been to the Kingdom, they are now able to understand what the world needs… The formation of the koinonia in the Liturgy is not complete or sufficient in and of itself. Instead, the purpose of the koinonia in the Liturgy is to work on behalf of all people everywhere and at all times, manifesting the social responsibility the koinonia has to the people and the world at large… It is the mission of the Church to make known to the world the love of Christ that is manifested to them through participation in the Liturgy and their mystical entrance into the Kingdom of God… Theoretically, the Church is the embodiment of what the world should be, for it is the manifestation of the reality that is to come. In this way, the Church is to transform the world… [T]he Church’s mission… is to transform the world into the Kingdom through the love and light of Christ it receives in the Liturgy. […] Addressing social ills, then, becomes more than an external issue. It is a spiritual matter at its root. Healing people is a matter of reaching out to their souls, of addressing the spiritual violence and evil that roars within. Our work should be oriented toward holistic healing: first spiritual healing, followed naturally by healing the physical consequences of spiritual ills. It is the responsibility of the Orthodox to make our voice known and to take decisive action if we are going to transform the world. So — how best to respond to her rallying cry? I’ve got some ideas, sure, on what might charitably be called a sliding scale of practicality. Some of them I’ve discussed here and elsewhere. I’m not sure, in general, that I’m the person to propose them so that anyone will listen. Maggie might be, however. I’ll just say that I met Maggie when she arrived here to finish her undergrad studies, and in the nearly three years I’ve known her she has never ceased to amaze me, for all kinds of reasons (all of them good). I think she’s got a book in her, and that the work she’s doing (of which this article is just the tip of the iceberg) is very important. Her biographical blurb says that she “hopes to explore her interest in the connection between Orthodox theology and social action through her involvement in the nonprofit sector and in future graduate studies”; let it be so! Sounds like a book Maggie should read, too. How we do things either helps or hinders the unchurched from coming to Christ and His Church and either encourages or discourages communicants — particularly “the next generation” of younger Orthodox — from either remaining Orthodox or moving on to other Christian faith communities, many of which are intentionally very attractive (and good for them for bothering to be attractive!). Our theology and morality are not up for negotiation. Everything else we do should be the subject of endless review and creative change. […] The content of the Tradition is not a set of ideas – but a reality – God with us. […] You do not appropriate something whose content is God. You are Baptized into it. You are Chrismated into it. You are absolved for ever having lived apart from it. You are fed it on a spoon. You are splashed with it. But you cannot appropriate it. To paraphrase: Your life’s too small to appropriate God. This is very much the point Maggie makes above: the Liturgy, what the Church does, is how we engage the world. As she says, it is in having been to the Kingdom in the Liturgy that we know what the world needs — not, emphatically not, knowing what the world needs, we now know how to serve the Liturgy. 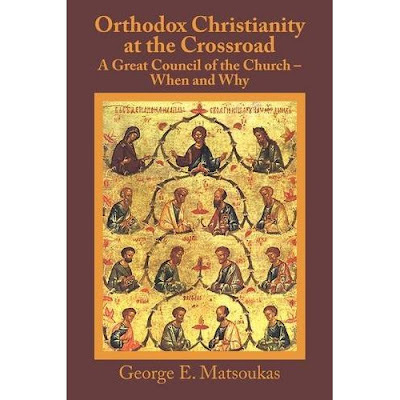 If we want to engage the culture, then we need to show the culture more of what Orthodox Christianity is, not only try to carefully show them the parts we think they can handle. We’re told to not hide our lights under bushels; we aren’t told to still try to dim the lights when they aren’t covered so that we don’t blind people. This is certainly food for thought, too. How about this — there are “evangelism packs” of books like Josh McDowell’s More Than a Carpenter; can’t we do something similar with Metropolitan Kallistos’ The Orthodox Church — say, five-packs that we then just give away randomly? He’s the closest thing to an Orthodox equivalent of C. S. Lewis that we have, after all. …and then I discover that this group exists. Hmm. Y’know, I remember in the summer of 2004, something of a big deal was made over Bush visiting the Knights of Columbus during his campaign. As I recall, I wondered to myself — do the Orthodox even have an organization like that for presidential candidates to snub? Maybe we do. I think I’m interested in finding out more… but I’m also wary. There’s another, shall we say, “concerned laypeople” organization (which shall remain nameless for a couple of reasons) that I almost joined until I realized that what they were advocating was, for all intents and purposes, congregationalism with bishops being kept around for show. Okay, it’s after midnight. In pace in idipsum dormiam et requiescam.